Jason joined the Advantage Point Solutions organization in 2017 as Chief Business Development Officer. Jason brings with him over 15 years of experience in the PBM industry where he most recently served as Vice President in the Pharmaceutical Strategy and Solutions Group at Express Scripts. In this role, Jason was responsible for approximately half of the pharmaceutical manufacturer relationships with an emphasis on formulary rebates, which accounted for over $6B in annual revenue. In addition to managing the pharmaceutical relationships, Jason led a team of formulary consultants working with a wide range of payers including health plans, employers, union groups, and governmental organizations. Jason played a key role in the integration of the Medco and Express Scripts rebate agreements as well as the building and roll out of the Express Scripts Safeguard Rx program. Additionally, he was a regular participant in the Express Scripts National Formulary decision making process known externally as the VAC Committee. Jason joined Medco in 2003 as part of the finance organization before moving into a managerial role on the United Healthcare account team within the Pharmaceutical Contracting Group. Jason’s responsibilities continued to steadily increase over the years and included time leading the Medicare Part D rebate negotiations for Medco. 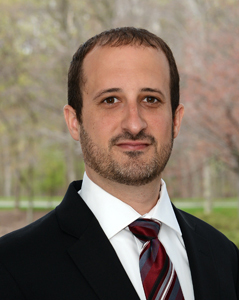 Jason graduated from Villanova University with a BS in Finance and earned an MBA from Fairleigh Dickinson University.